Jon says,“The Steeleye version of this is one of my favourite of their tracks,” but goes on to name his source for this as The Witches Of Elswick adding, “but this version is much more robust and most suited for massed voices.” Having managed to put my hands on their version (on the Hells Belles CD) I have to agree, as they do it so very well with four part harmony to kill for. Their sleeve notes humorously refer to Bryony Griffith hearing it, aged 14, on a borrowed copy of a Steeleye album and she“was most impressed that a folk song had her name in it.” (It took me a moment!) But their recorded version was eventually “found in a Baring Gould and Cecil Sharp book of English Folk Songs For Schools.” I turned to Mainly Norfolk for the usual detailed illumination into the recordings and note an early Bellamy version, now to be found on the Fellside double CD set Fair England’s Shore. It’s shorter and not quite as mellifluous as the Witches’ or indeed Jon’s versions. Steeleye go a bit further and really bring out the slightly dissonant drone in the second half of the verse in their arrangement, which I also really like. I know some of you won’t fully approve of their rockisms, but I’ve realised I’ve got some serious shopping to do. In the meantime get those harmonies working see what you can do. This entry was posted on Monday, August 18th, 2014 at 12:00 am and is filed under News. You can follow any responses to this entry through the RSS 2.0 feed. You can leave a response, or trackback from your own site. I just got Fay Hield’s CD Looking Glass today, and a very fine one it is! After hearing it over and over it was quite late in the evening, so I thought why not wait up until it’s one o’clock and I can hear Jon’s next song. I spent the time until then reading and reminiscing on Fay’s Witches records. Funny that immediately after I can compare their Saucy Sailor to Jon’s. Thank you, both Fay and Jon, for your wonderful music! I’m with Jon on this song as I have always loved it, and indeed the whole of Below The Salt. Sounds like I will have to do some shopping too though and sample Fay’s music more. I’ve noticed that sometimes you cite as your source for a song a version by artists that got theirs from traditional singers you don’t mention. In this case, why Steeleye Span and not Johnny Doughty? Good question Roberto; I’ve been wondering about this too, but one thing I’ve learned from this site is that for Jon people like Peter Bellamy, Lou Killen, Martin Carthy, Nic Jones, Tim Hart and Maddy Prior are his source singers, to some extent. These are the singers and the songs that first inspired him, as well as the Forest School Camps so it is only natural that his repertoire should reflect this. I know that Jon listens to a lot more, but these are the songs he sings because he knows them and loves them – and you can tell from the way he sings them that he has lived with these songs for a good while. What will be really interesting is to see what happens when Jon has to add new songs to get through the whole year, but I’m just enjoying every minute of this. Hi folks, thanks for the above and just to make it clear, I have a list from Jon that names his original inspiration for learning the songs. As some have pointed out above, these are often not the original sources, versions, or indeed from the first of the revival singers. I guess it’s partly a function of his age and the music he was first exposed to, but we all have different ways into this. I use Jon’s list and any comments he has added to start the introduction and then, with the help of people like Reinhard and his excellent Mainly Norfolk as well as Mudcat, try to find any additional information that I hope will interest you. Reihard is also right to point out that I can only go so far with this and the links are only meant to give you a start should you want to discover more. Also, I’ve quickly realised that it’s impossible to be definitive anyway and that there are people posting here regularly that know far more about the music than I do. So, I can only encourage you to add any detail you can for our general enlightenment. Anything that adds to the story will always be welcomed. And Matthew, I agree. Jon too has already acknowledged he will have to expand his repertoire, so we are all learning through this project. More about Saucy Sailor from the Vaughan Williams Memorial Library at the English Folk Dance and Song Society. There are 93 records of Saucy Sailor in the Library, collected from various places in the south of England and also from Nova Scotia and Newfoundland. We used the Roud number to cross reference against different titles for the song. When searched on Roud No. 531, this rises to 101 records. Titles include ‘Jack Tar’ (from the singing of Bob Copper), ‘I’m To Cross’, ‘Come My Own One’ and ‘I Love Me Bonny Sailor Lad’. There are 4 records of the song in the Take 6 archives. Roberto – to speak personally, I’d agree with admin’s comments; as you can see from all the links and information everyone posts, there is rarely (if ever) a definitive version of a song. I like to find out the routes that the songs take – it would be disingenous of Jon to claim that he learned a song from the singing of Johnny Doughty if he actually learned it from Steeleye Span! And I think that’s an interesting thing in itself, that some people are learn songs from revival singers of the 60s or even later. Provided everyone credits where they learned the song from, I think that’s a really interesting way of tracing the ways the songs have moved around and perhaps changed in a very short space of time – plus it means the information is there for anyone who wants to research it further, and find out (say) where Steeleye Span got their version from. Some songs are just great to listen to, but I’d never be able to do them justice. This one, however, inspires a different reaction: having heard Jon’s version, I want to learn it and sing it myself. Lovely song, Jon, thanks! I much prefer Jon’s ending to verse 5 “when there’s others to be had” rather than the equivalent ending of the two versions on Mainly Norfolk,namely “where no fortune’s to be had”. The former is far more poignant and is more in fitting with the philosophy of the rest of the song. Below the Salt was the first Steeleye Span album I bought, back in 1973 (my friend already had a copy of Parcel of Rogues) and at the time I loved this song to death – so much so that now I’m actually a bit bored with it (but I haven’t listened to Jon’s rendition yet – I’m listening to Justin Bieber at the moment). I didn’t start performing till years later, and when I did I was convinced that everyone else would be singing songs they’d learnt at Walter Pardon’s knee – to have learnt something from a record was terribly embarrassing, let alone a record that had actually been in the charts. Obviously I eventually realised that most other people were also working from records, but it took a while – so I’m all in favour of Jon crediting songs to Bellamy or Carthy or Steeleye, just for demystification’s sake. PS any idea why my iTunes isn’t letting me subscribe to the podcast? Phil sorry to say we have no idea why you’re experiencing problems with the podcast as it seems to be fine at our end. Fixed (my iTunes “Parental” settings were at fault). By the way Reinhard, I’ve just been exploring more of your Mainly Norfolk site, and may I say what a wonderful resource it has become. The Topic Discography is a superb achievement. Well done indeed! 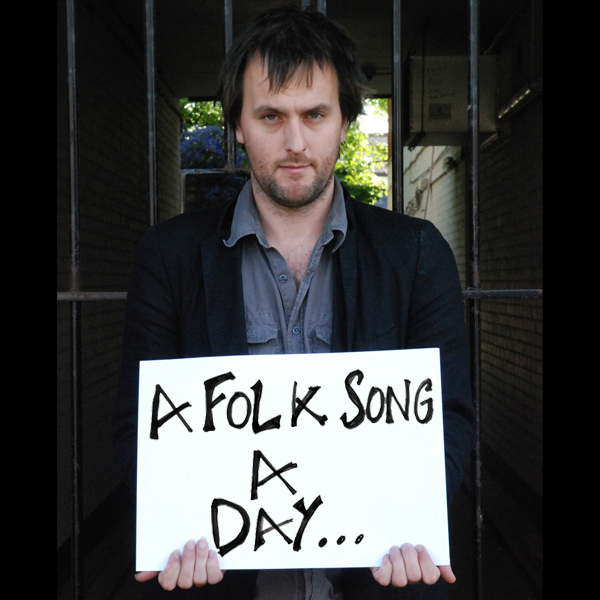 While Jon quotes Steeleye Span as his origin, the songs which he sings have undergone a Jon Boden folk process. It happens to me too (just not as well) I learn a song from a recorded source, a couple of years later I go back to the source and find a different tune and different verses than I learned. It is then your version of the song. I would suggest that people find Jons source material and verify that, then look up differnt versions of the words and cobble together your own version. Who knows by day 365, Jon may be singing your version of songs which he downloaded from Youtube, OK maybe not. Thank you, Matthew, for your praise! Did you notice that I named my website to honour Peter Bellamy and his first album which has Saucy Sailor on it? By the way, I’ve just added the Witches’ and Jon’s verses; now you can compare them to the somewhat different versions of Bellamy and Steeleye Span. Just to clarify – my source isn’t Steeleye, but Bryony Griffiths and The Witches of Elswick. Bryony got it out of Sharp and tweaked the tune and refrain structure a bit I think. It was my favourite track of theirs so I had to learn it! As far as letting a song evolve away from the source, I prefer the old fashion method: hear a song you like, learn it, then try to avoid referring back to that source again – if you forget the odd bit, make it up. After all that’s basically what Harry Cox et al did aint it? I find the song evolves pretty naturally that way. I agree that it is honest to cite the actual source from where you learn a song. And there is nothing wrong in learning from a recording. 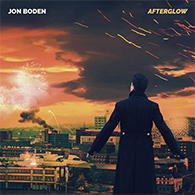 I do like Jon Boden’s singing, both when alone or in a band like Bellowhead, but in a song such as this, it seems to me more on the same wavelenght as Johnny Doughty’s than the Steeleye Span’s, whose recording I like, but I feel Johnny Doughty’s is more interesting for a performance without accompaniment, more open to variations. That’s why I asked. 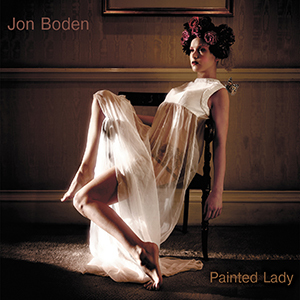 Sorry, I hadn’t read Jon Boden’s post before writing mine. I was going to dive in and say that we’re getting a bit carried away with the Steeleye stuff here, but note Jon has already pointed to the Witches Of Elswick. As I said at the top it’s their somewhat sweeter tune he follows. His comment on Steeleye and subsequent research did, however, prompt some immediate e-bay action on my part and I look forward to vinyl copies of Below The Salt, Parcel Of Rogues and Please To See The King being delivered imminently. There will be other acquisitions inspired by this project for sure. admin, to carry this even further away, Below The Salt, Parcel Of Rogues and the three following albums are available at Amazon in a 3CD box called A Parcel of Steeleye Span for just 5.67 GBP – only half of what the Witches’ CD with Saucy Sailor on it costa. Thanks Reinhard… Always vinyl for me if I can, but that’s remarkably good value. Did you get my mail? Hi all, Bryony Ocean here! I sang this with Becky in the Res in Whitby last week. I had thought of revisiting it with mine and Will’s duo, but I don’t think we’ll ever beat the 7 part harmony we did on it with Witchnotes! This version isn’t particulary influenced by the Steeleye one…..the title caught my eye in a tatty old Sharp & Baring Gould book because I knew the name from the Steeleye one, which, it’s true, I had always liked because it sounded like it had my name in…. This was also on Frankie Armstrong’s first record, which I think came out before Below the Salt. There were liner notes on the LP but I don’t remember where she wrote she got it from. Notes by A. L. Lloyd from Frankie’s LP refer to broadside printers, John Pitts 1815, Disley and Hodges c. 1860 and Henry Such at the end of the century, with the tune collected by Cecil Sharp in Somerset. Thanks to ‘Bryony Ocean’ for posting the Witches of Elswick link to their version of this song. I must have missed it first time round. Absolutely lovely! I really love this version by Jon with it’s rough authenticity. A few glasses clinking in the background, some talk and laughter, shut your eyes, and you could be in any quay side ale house. Old Muzza agrees to a point……BUT…if I know the WRITER, I am honour bound to acknowledge this and make a record in my “songbook”…. where I first heard it is not important. Another point…I sometimes change words and after a few outings I realise why the original words were correct…and humbly change them back. I have friends who stick rigidly to the original words that they learned, without question, even though they don’t make sense. Another good one. A gold digger female – wot a change Got her just deserts (know this is the correct word although I prefer desserts). Muzza there you are – you have been missed you know – hope all is well with you. I first head this from Steeleye Span – liked the song all those years ago, still do. Yes I agree with John.